When it comes to lobster and bread there seems to be a broad consensus that the best way to combine them is in the form of a lobster roll. And there are many great iterations out there, to be sure. But what if, like us, you’ve already eaten 19 lobster rolls in the last month and need something different? Good news. 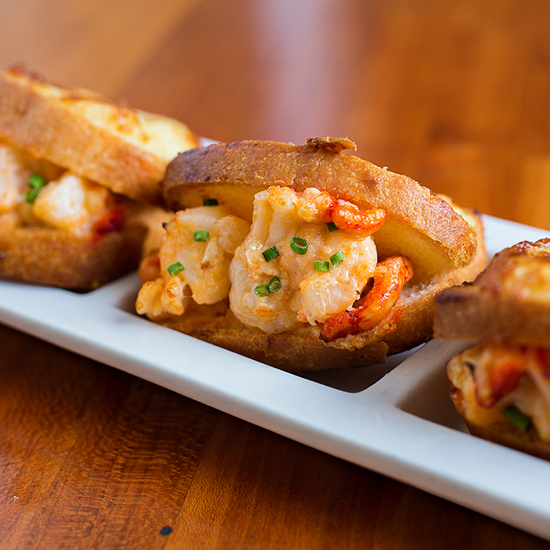 Chef Nico Romo of Fish in Charleston, South Carolina has an even more indulgent version of a lobster sandwich on his dim sum menu—the lobster croquet madame. It’s everything you love about the gut-busting French sandwich, but you know…with lobster. The Bread: Romo, who at age 30 became the world’s youngest French Master Chef, bakes his own buttery brioche in house and toasts it up crisp.